Beginning March 1, 2015, the State of Texas will stop issuing vehicle inspection stickers. After this, in order to register your vehicle, you will be required to pass a vehicle inspection not more than 90 days prior to the date your registration expires. After passing an inspection, the inspection station will update your electronic inspection record with the results and issue you a paper vehicle inspection report (VIR). The inspection fees have not changed but where you pay them has. You will now pay the inspection station its portion of the fee at the time of inspection and the state’s portion of the fee will now be collected at the time of registration. Additional information about the program can be found on the Texas Department of Motor Vehicles’ website at www.txdmv.gov. Simply select the “Two Steps, One Sticker” heading from the Motorists tab at the top of the homepage to access the content. Jefferson County has three locations. The main office is located in Beaumont and two sub-offices located in Port Arthur and Nederland. You may also contact the Beaumont Automobile Department by e-mail at contact us. In addition to our three (3) locations, the Tax Office offers other means to conduct your automobile transactions. The purchase of registration stickers and the transfer of titles can be done through the mail. Also, there are alternative automobile license renewal locations in Jefferson County that sell registration stickers for passenger cars, trailers, motorcycles, and small trucks (pickups, vans, and sport utility vehicles). A list of locations can be obtained through the Tax Office. To save time and for your convenience, online registration is available for your motor vehicle registration renewal and change of address. This service is available through the www.texasonline.com website. Current insurance is required and the vehicle must be currently registered in Texas. Customers can pay by credit card using MasterCard or Visa. For more information on these services, please call the Tax Office at (409) 835-8459. To view the most frequently asked questions with their answers, click on the “Frequently Asked Questions” link. 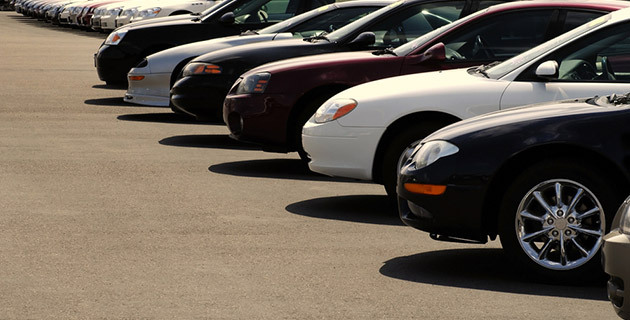 A wide variety of forms are required to process the various transactions involving vehicles. To view or print these forms, please click on the “Forms” link above. The Texas Department of Motor Vehicles (TxDMV) offers a wide variety of specialized license plates. Customize your license plate, or choose from one of many license plates designed to pay tribute to the U.S. military, or express support for your special interest, favorite college, university, professional sports team, or other organization. Order your specialized license plates at any Jefferson County Tax Office. Click on the “Specialized License Plates” link above to visit the TxDMV website where you can see the variety of plates offered and the fees charged for each.